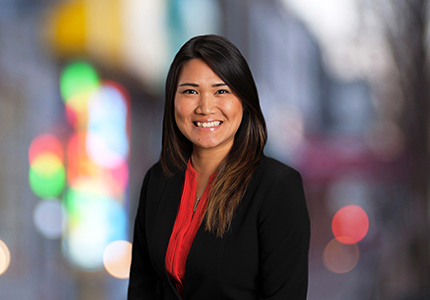 Kathy is a native of Northern Virginia and joined the firm in 2018, working in the firm’s Land Use & Zoning practice group. Her practice focuses on securing zoning and land use entitlements including rezonings, special permits, and special exceptions. Previously, Kathy served for two years as the judicial law clerk to the Honorable Penney S. Azcarate of the Fairfax County Circuit Court before she entered private practice with a boutique litigation firm. Kathy is active in the Fairfax Bar Association, as she currently serves on the Board of the FBA Young Lawyers Section and on the Committee for the Fairfax Law Foundation’s annual Heroes v. Villains Run for Justice 5K.